Their hunting dollars pervert conservation policies in vulnerable third world countries, instigating and perpetuating evils such as captive lion breeding and canned hunting. By conspiring with wealthy landowners in South Africa to build up a vast inventory of captive lions, all bred for the bullet, the hunters have helped open the floodgates to exploitation by the Chinese traditional medicine industry for lion bones. Owing to public disgust at canned hunting, the South African Minister for the Environment attempted to impose some pitifully feeble regulation on the captive lion breeders, more symbolic than effectual. Nonetheless, the predator breeders responded by throwing mostly US dollar - sourced money at the Minister in the form of a legal challenge. This short article explains why they succeeded. 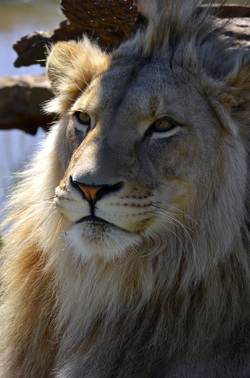 Bloemfontein - The SA Predator Breeders' Association recently won a Supreme Court of Appeal case regarding the trophy hunting of captive lions - commonly called "canned hunting". The Supreme Court held the Minister of Environmental Affairs, Mr Van Schalkwyk, did not take a "rational decision" when he determined that captive-bred lions had to fend for themselves in an extensive wildlife system for 24 month before they could be hunted. The Supreme Court described it as ‘irrational,’ and we cannot fault this characterisation. The 24 month wilding rule was a publicity stunt which had no place in conservation, and that is exactly what underlies the Supreme Court’s decision. This judgment, and the current unregulated free- for- all in captive lion breeding and canned hunting, is the clearest indicator of the incompetence and dysfunctionality of SA conservation services, and it's vulnerability to specious pro-hunting arguments. 1. Wild lions will continue to be poached and captured from game reserves and neighbouring countries to supply fresh blood for the lion breeders, in order to combat captivity depression. 2. The unnatural confinement of predators has the potential to breed pathogens such as feline AIDS which can devastate both captive and wild populations. 3. The barbaric cruelty will increasingly drive away ethical tourism (our share of world tourism is still a miserable less than half of one per cent!) We get emails every day from outraged tourists who refuse to visit South africa. 4. And now the captive lion breeders are moving in to selling lion bones for the infamous Chinese traditional medicine market, which has already emptied the forests of Asia of their tiger populations. 5. In short, thanks to the lack of foresight and intelligence in SA conservation structures, and to the obscene wealth of foreign hunting clubs like Safari Club International, in Reno, Nevada, predators are becoming domesticated livestock – but un-protected by animal cruelty legislation. Imagine the outcry if farmers bred sheep and goats for hunters to shoot arrows in to? Our wildlife desperately needs protection from conservationists who lack the intellect to understand that hunting is environmental terrorism, and should be banned. What this Supreme Court decision reveals is that the flow of hunting dollars and Euros has promoted captive lion breeding so much that it has now moved out of conservation, and in to agriculture. Lions have become alternative livestock. American trophy hunters and useless South African conservationists have allowed the ‘wild’ to be taken out of our wildlife.